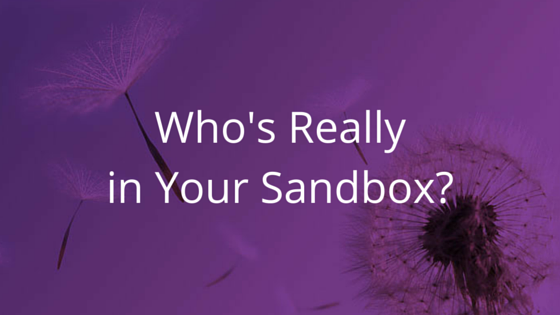 Who’s Really in Your Sandbox? I often say this when I refer to the people you keep close around your financials: your trusted advisors. These people should all have integrity and be thoroughly checked out; they are after all, helping you take care of your money. When any of these people turns out to be untrustworthy, it can drastically take its toll on you, your business, and your finances. I had a client who hired a very well-known firm to compute and file sales tax and file her year-end business and personal taxes. She was drawn to the Firm specifically, because it offered a “one stop shop” of all the financial services she needed under one roof. We interviewed the Firm’s owner together and my client felt as though he was a professional. I, on the other hand, was not totally sold. I suggested a company that I consider to be one of my own “trusted advisors” who I am confident about because I have personally witnessed the quality and integrity of their work. My client however, pushed for full-service firm, because they could do bookkeeping, CPA, and payroll services all in one place. Once they were hired and they began work, according to my client, “It was a cluster from the get go! They filed my taxes on an accrual basis rather than cash, which made it look like I owed more taxes than I really should have. Luckily, Debra caught this and we had them amended. However, it took two amendments for them to get it right. I ended up paying a large sum of money due to ‘tax benefits that I could’ve taken’ that they never actually explained to me. I could never get a satisfactory answer from them to make me feel as though they had filed my taxes correctly”. Here, began the first of many warning signs to come. I tried to speak to the CPA who’d made the mistake, on my client’s behalf. I could see how they had arrived at the “numbers” they had used for her taxes and knew that they were inaccurate. I continued trying to get a straight answer from the CPA, the staff, and finally even trying to contact the Firm’s owner himself, but no one would speak with me about the mistake. To me, this was a major red flag. When I am acting as a trusted advisor for one of my clients, and a person won’t talk to me, there is likely something they are trying to hide such as fraud or even embezzlement. My client had a second CPA look over the returns, and then, found yet a third CPA firm, which had expertise in the construction industry, which she is a part of, and had them review the returns. After the third company reviewed the tax returns, they found an error that should have never happened and are currently amending my client’s return for 2014; for which she will receive that large sum of money back which she paid according to original Firm’s ‘tax benefits that she could’ve taken’. Throughout the entire expedition with the Firm, they had been pressuring my client to let them take over her payroll. However, my advice was always to stick with the payroll company we were currently using and not to give in to the Firm’s requests. My client is now extremely grateful that she listened to that advice, especially as we saw all of the stories come out about the embezzlement scandals that were revealed by Tom Martino. One of the biggest mistakes a business owner can make is not paying payroll taxes or not paying them correctly. There is no “wiggle room” with the IRS in this area! This story truly illustrates just how important it is to know who your “trusted advisors” are. If you don’t REALLY know the people who you let in your sandbox, they may not be who you think they are. A great way to keep your advisors in check is by using “subject matter experts” that do not have a conflict of interest. I like to have bookkeeping done in-house or by an “expert” bookkeeper. This should be a separate service from your CPA. 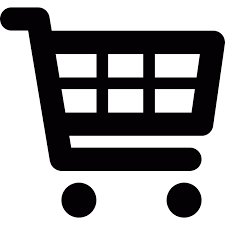 The third subject matter expert you need is the payroll company. A payroll company is much more regulated than a CPA who offers the service on the side. Taking care of your financials in this way provides for checks and balances for each type of activity.